Both the pathogens and on the epidemiology of infectious and non-infectious diseases including those that pose a risk to human health, with particular attention being paid to measures of prevention. Measures which will optimise animal welfare. Measures to minimize the potential adverse effects of animal production on the environment including those that pose a direct and/or indirect risk to human health. 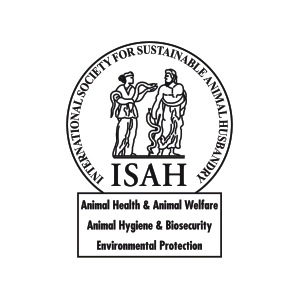 Promote the creation of interdisciplinary networks of scientists working in the field of animal hygiene and related areas. Transfer “cutting-edge” knowledge and information on animal hygiene to veterinarians, animal scientists, agricultural engineers, animal producers, physicians and public health professionals as well as to decision makers in agribusiness and politics.